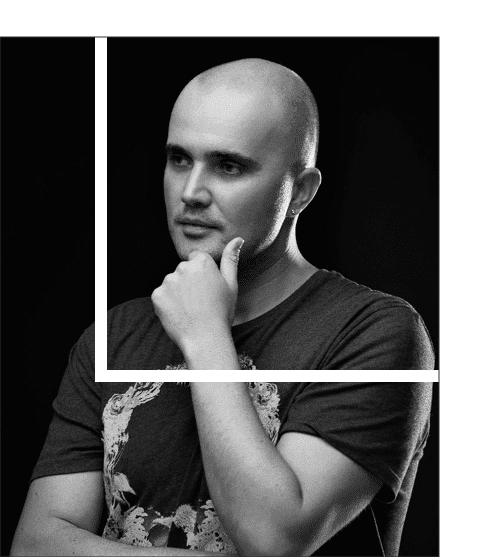 My name is Szabolcs Bakos, I am a freelance UI/UX designer. I have been designing digital user interfaces for more than 10 years as a web designer, and for five years as an UI/UX designer. My professional focus is: responsive web design, web applications and web-based user interfaces. I have facilitated the ’birth’ of several websites. Thanks for my web designer past, I am able to code valid HTMl5 and CSS3. Although I am not offering my coding skills for client projects anymore, this coding knowledge helps me out in my design projects, because I know what works and what doesn't work when I plan digital interfaces. As an UI/UX designer I am able to execute the design processes from the start to the end. To my clients and their desired project needs, because of my strengths are: speed, agility, precision and personal attention to detail. I always ensure the high quality of my work. I do not promise anything what I cannot accomplish. As a result of more than 17 years of professional experience, I know what I am doing. I am familiar all the latest web trends and the creative opportunities of implementing them. In my profession the deadlines are very important. If you work with me on a project you will not be disappointed, I will always keep the agreed deadlines, with particular attention. As an UI/UX designer I pay close attention for user-friendly design, therefore establishing the success of your digital product or services. Thanks for many years of experience, I am able to design modern, elegant and clean user interfaces with a minimalistic approach. You can smoothly talk with me about the details of your project. There are no foggings, IT mystics, only pure facts, human language. As an UI/UX designer I am maximalist in my projects. My works are pixel perfect and my HTML5 and CSS3 codes are always valid, based on W3C recommendations. If you like simple, clean and minimalist user interfaces, and you are looking for high quality with punctual deadlines, you have found the right person! Currently my office is located in Budapest, the capital of Hungary, but I can work anywhere in the world if there is WI-FI connection. I am a perfectionist with my own office equipment, and I only use the best equipment available. If you have a simple, cooperation or business related question for me, I am gladly at your service via email.